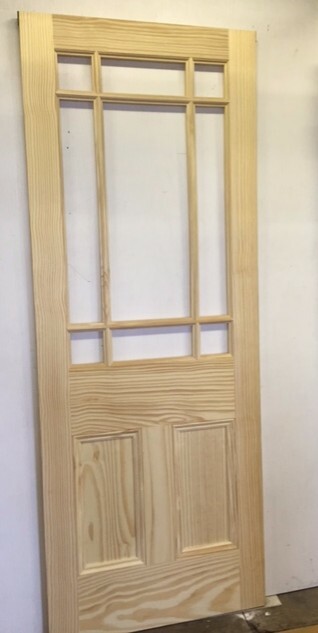 This door can be made to personal specification as required, contact us for more details. Please note glass stained glass colours/textures have changed. 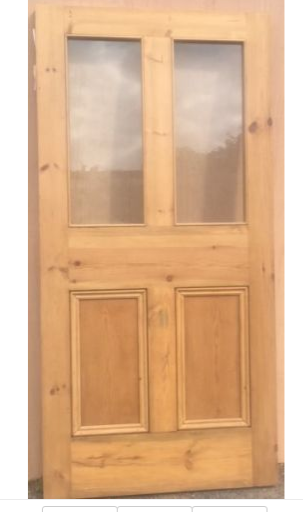 Please contact us for more details/pictures. 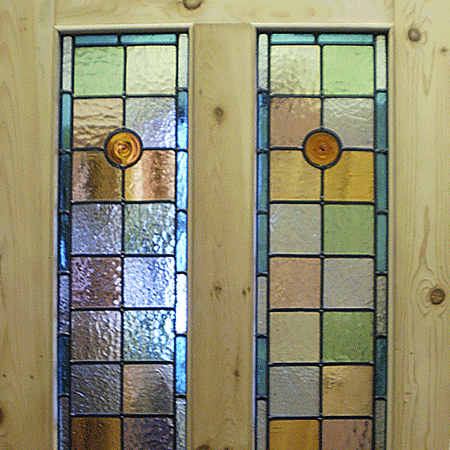 Door waxed ready to hang has stained glass in top two panels. 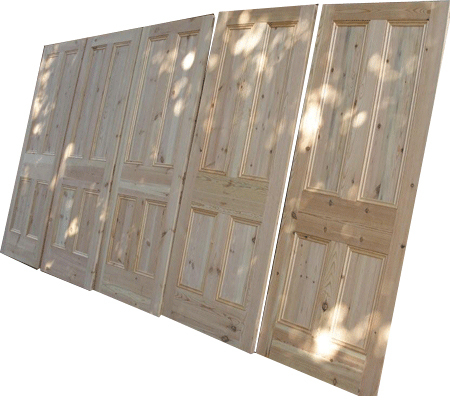 This door can be made to any size up to 29" x 77" at offer price of internal only. 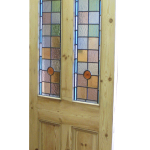 Clear wax finish made specifically with stained glass. 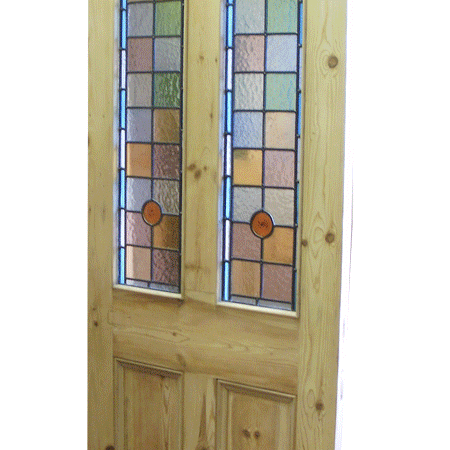 Beautiful Oak Veneer Interior 9 Panel door with Stained Glass. 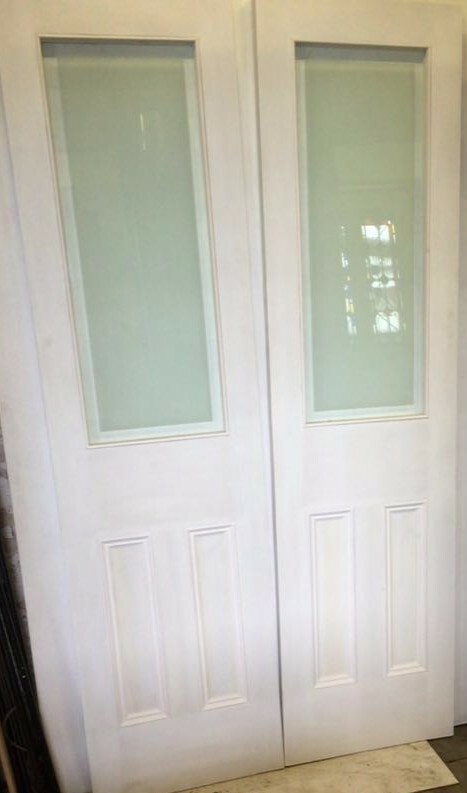 The design is simply beautiful with clear reeded glass and a touch of red and green. 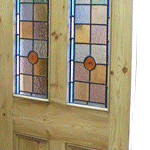 The stained glass panels have been produced using traditional methods. 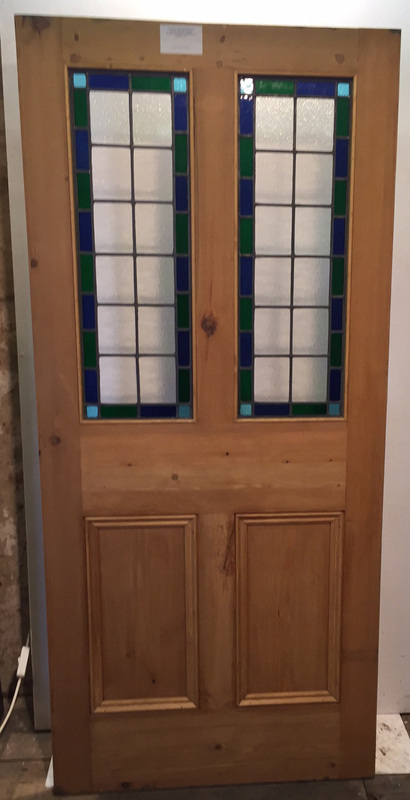 We have used brilliant cut glass design diamonds and a central ruby red/blue design which we have incorporated into these stained glass panels.The backround glass is made from handfloated glass identical to that used in antique vestibule doors. 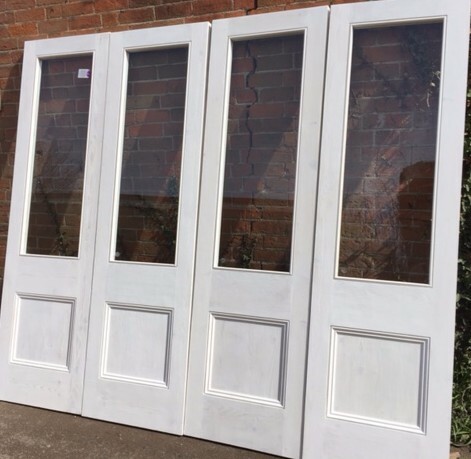 This can be made to any size up to 29 ¾" x 77 ½" and 35mm thickness with glass sanded waxed ready to hang. 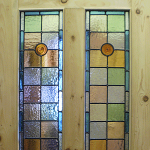 Get the stained glass look for half the cost. 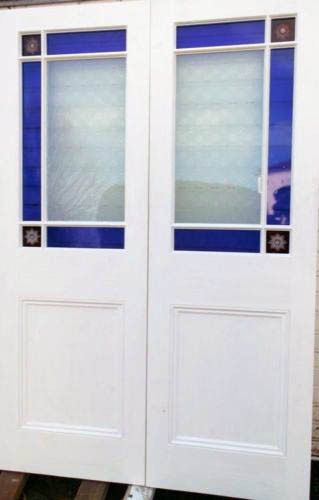 Clear panels with blue and red corners. 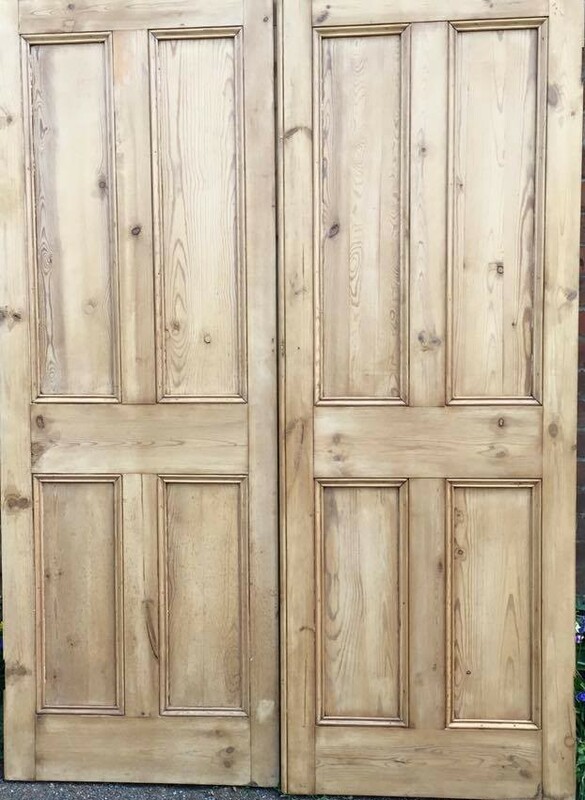 Professionally sanded and waxed.